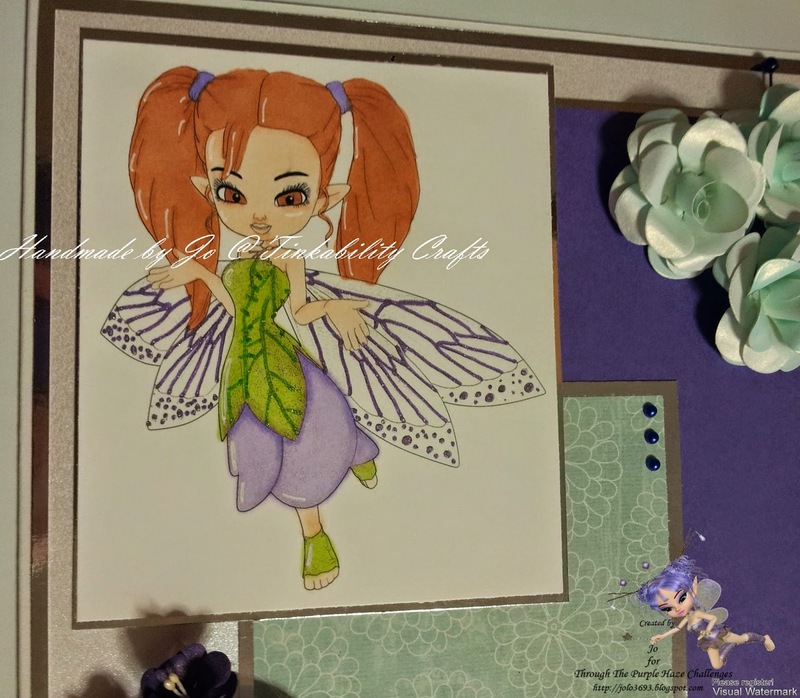 This is a 8x8 card blank, i matt and layered it with silver mirror card, centura pearl, purple card stock and green card stock from my stash. I hope you have time to pop on over to the challenge blog and join in the fun. Your card is lovely. I like the image and your embelishing.